Last week, a Premium Times reporter, Samuel Ogundipe, in what amounts to a criminalisation of journalism, was arrested by the Nigerian Police for theft and unlawful possession of restricted and classified documents which in the opinion of the Police could jeopardise state security. Ogundipe was arrested on Tuesday, August 14 and detained at the force headquarters and in an attempt to mitigate accusations of human rights violation, he was surreptitiously arraigned two days later in a magistrate court in Abuja. These offences according to him, violates official secret act, cybercrime act, and the penal code law for which he has volunteered statements and is standing trial. There have been an outrage over the detention of Ogundipe because the issue pertaining to his arrest and detention was already in the public domain, it has to do with the preliminary report of the Inspector General of Police to the Vice President who then acting as the President on the siege laid on the National Assembly by the Department of State Security a week earlier. Details of the report were obtained by Ogundipe and published by the Premium Times. 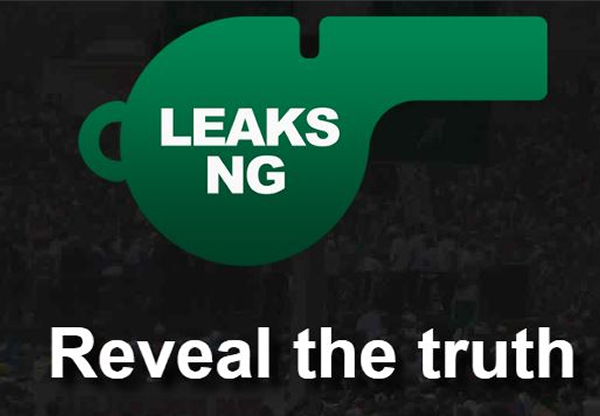 Obviously embarrassed by the leaked report the Police authorities decided to use brute force and coercion to compel the Premium Times reporter to disclose the source of the leaked report. On failure to achieve its aim, and following public outcry the Police decided to seek refuge in court by charging the reporter with the archaic, obsolete and colonial official secrets act, and further stretching the charges to include a violation of the cybercrimes act, and the penal code, all in a desperate attempt to criminalise the lawful actions of a journalist in the lawful performance of his constitutionally guaranteed function of news gathering and holding government accountable to the people. Viewed against the fact that another journalist was kept incommunicado in the DSS dungeon for two years without arraignment raises serious questions about the relationship between the media and the Nigerian security apparatus as there seems to be a serious attempt to stifle and intimidate the free press to submission at all cost in a democratic dispensation! A discernible pattern exists that validates this position since the assumption of the current administration. The police subsequently invaded the Abuja office of the online publication and arrested Premium Times publisher, Mr Dapo Olorunyomi, and its judicial correspondent, Evelyn Okakwu, and took them to the headquarters of the Federal Capital Territory Police Command. where they were held for several hours for charges bordering on criminal libel. What has become obvious from the foregoing is the intimidation journalists and media houses for writing stories which are considered embarrassing or defamatory to persons in positions of power and have failed to come to terms that we are in a democracy and that freedom of the press is the pillar on which other societal freedom rests and holds the sacred duty of holding government accountable to the people by shedding light in the dark places of government. The job of the press is disclosure, to be an irritant to those in the confines of government. It is precisely when the press is telling us what we don’t want to hear, when it is challenging the status quo and government officials, exposing government misconduct and refusing to be the unofficial mouthpiece of any government agency that the media can be said to be doing its job and justifies its constitutional protection. Section 22 of the 1999 constitution as amended imposes a duty on the media to ensure that government is accountable to the people at all times by upholding the fundamental objectives contained thereof. In recognition of the fact that citizens could not promote accountability and transparency in government without access to information, the fundamental rights of every citizen to freedom of expression, including the right to hold and impart ideas were enshrined in the Constitution. But some public officers have continued to use the machinery of the state, albeit illegally, to intimidate the free media by resorting to colonial statutes to unearth anti-media legislation like the official secrets act and dead provisions of the Criminal Code to intimidate journalists, which from all intents and purposes has been consequentially repealed and rendered nugatory and of no consequence by the provisions of the Freedom of Information Act. Evidently from the pronouncement of the Appeal Court over three decade ago all anti media and anti-freedom of expression legislations dating back to the colonial era still in our statue books have become obsolete and this includes the Official Secrets Act. “The decision of the founding fathers of this present constitution which guarantees freedom of speech which must include freedom to criticize should be praised and any attempt to derogate from it except as provided in the Constitution must be resisted. Those in public office should not be intolerant of criticism. Where a writer exceeds the bounds there should be a resort to the law of libel where the plaintiff must of necessity put his character and reputation in issue.” Freedom of expression and by extension freedom of the press is a settled legal matter. The resort by the Nigeria Police to these archaic and anti-media legislations to rope Ogundipe cannot in any material particular stand judicial scrutiny. What the police is doing is akin to punching the wind as the case against the Premium Times reporter is dead on arrival. He can neither be coerced to reveal his source of information. The police should know better that it is within his journalistic privilege as universally acclaimed to protect his sources as long as the information is true and within the boundaries of the public right to know. It is good that many people and groups from across the world have spoken against the impunity and high handedness of the Nigeria Police it is only hoped that the police retrace its steps, withdraw its case against Samuel Ogundipe, apologise to Premium Times and Ogundipe so we can put this sordid affair behind us in the interest of democracy and our freedoms.